President Michael D Higgins has began the first day of his official State visit to the United Kingdom. On what is an historic day for Ireland and Britain, the president was welcomed outside Windsor by Queen Elizabeth II and her husband Prince Philip. They then travelled by horse-drawn carriage through the streets of Windsor, which are decorated with large tricolours and union flags all the way up to the historic castle. The president will receive a banquet in his honour later this evening where 160 guests will be in attendance. The guest will include the Taoiseach, former president Mary McAleese, British Prime Minister David Cameron and the First and Deputy First Ministers of Northern Ireland Peter Robinson and Martin McGuinness. President Higgins and Queen Elizabeth will make public speeches at the event. 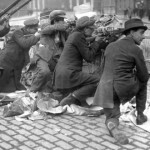 During the busy four-day programme, President Higgins will attend several functions, marking the contribution made in Britain by successive generations of Irish immigrants. 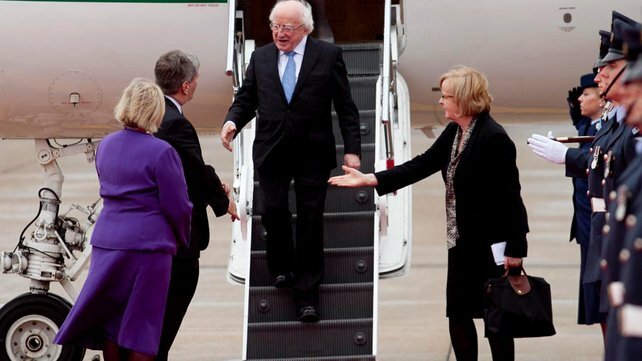 President Higgins, who is the ninth President of Ireland, is making history by becoming the first holder of the office to make a State visit to the UK.